If you find your car making more noise than usual, it could be your vehicle’s exhaust system that’s malfunctioning. The exhaust system is supposed to cut down the noise from your vehicle and reduce the harmful emissions your vehicle kicks out into the air. If you drive a car, truck, or even a motorcycle, your vehicle has an internal combustion engine that helps channel harmful gases through pipes so that you do not breathe them in while driving. Making sure that your exhaust system is operating properly is not only important for safety, but also to help your engine maintain gas mileage and good performance. At Cary Car Care, our team of ASE Certified technicians can handle the repairs and maintenance on all the components of your exhaust system. These include the exhaust manifolds, oxygen sensors, catalytic converter, muffler, and pipe that carries fumes to and through the rear of the vehicle. 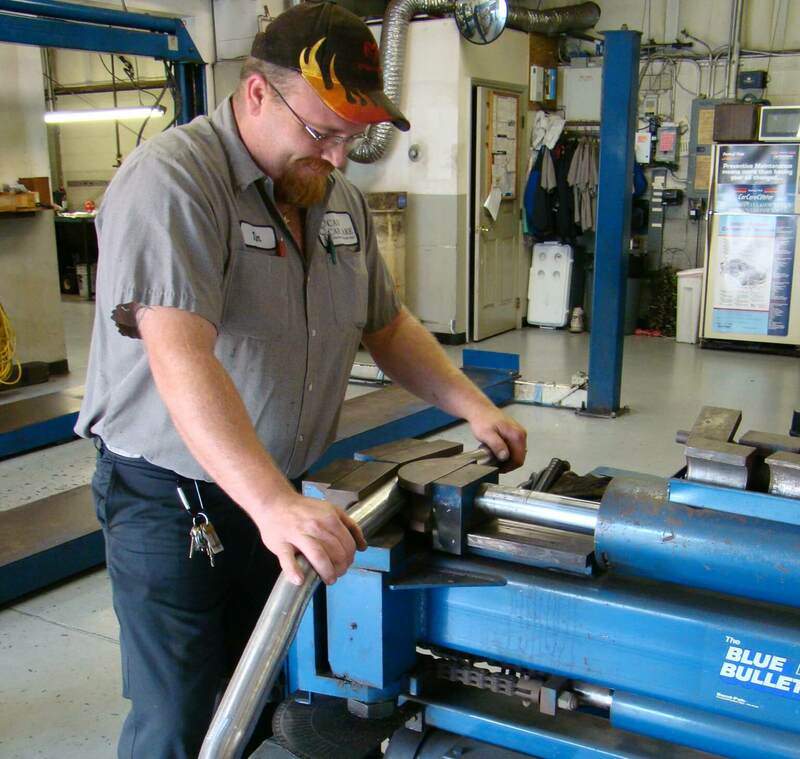 We have state-of-the art equipment and the training to properly service exhaust systems for all makes and models, both foreign and domestic. Not to mention, we offer a leading 2 year/24,000 mile warranty on parts and services, so you can always count on a job well done by our technicians. Passing an emissions test is a requirement in the state of North Carolina. If your exhaust system is emitting too many pollutants, your vehicle can fail to pass the inspection. So, if you are noticing any excessive noise, sputtering or even a hiss noise, come by our shop as soon as possible and we will make sure your vehicle is ready to pass any inspection. Give us a call today to schedule your next exhaust system service!